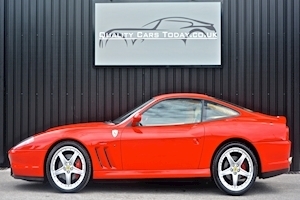 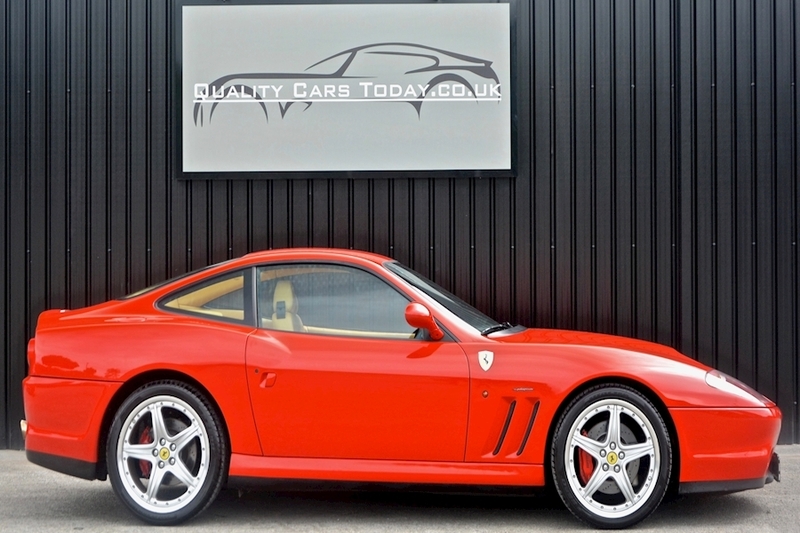 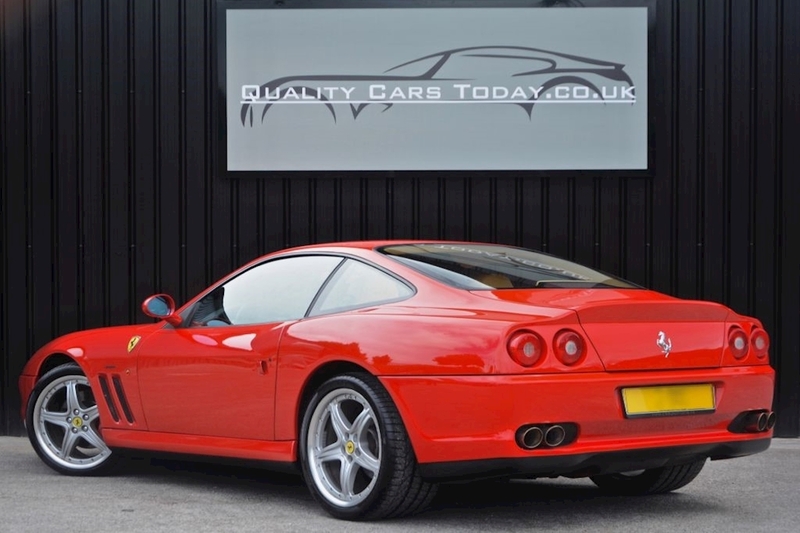 Full Ferrari Dealer History and in exceptional condition throughout. Supplied new by Eberlein Automotive to Hartmut Helbig on 12.7.2002. 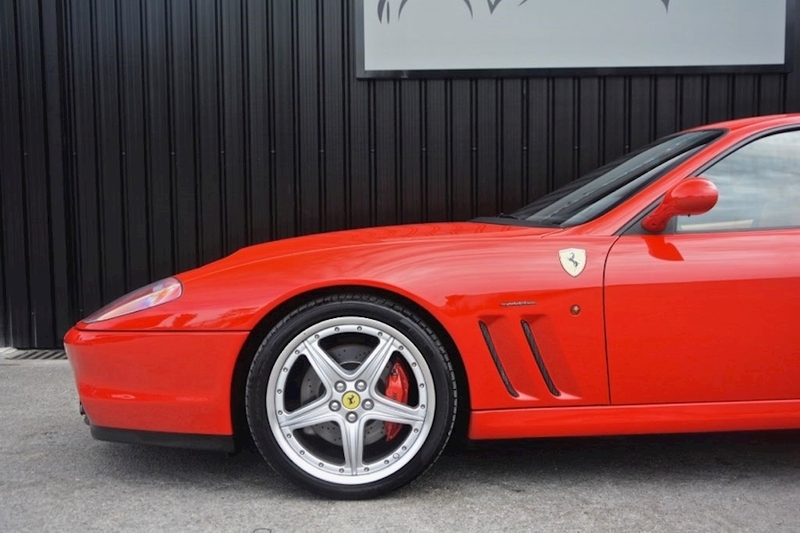 Our customer based in Monaco purchased the Ferrari from DLS Automobile Germany as a '2 owner' car and has subsequently imported it into the UK. 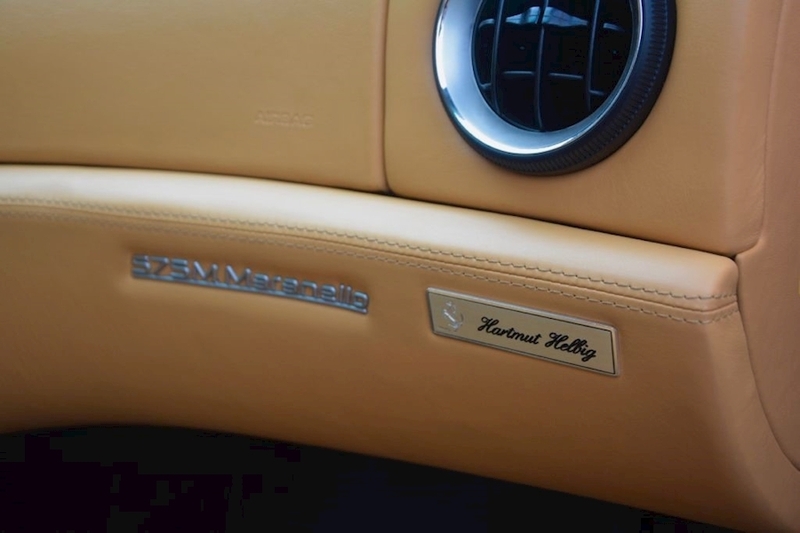 The car is now UK registered with UK V5 showing him as the only owner (in UK). 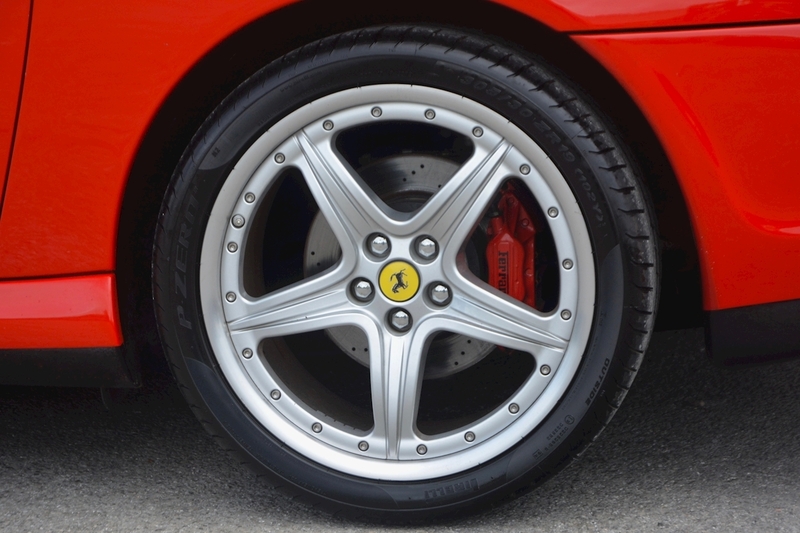 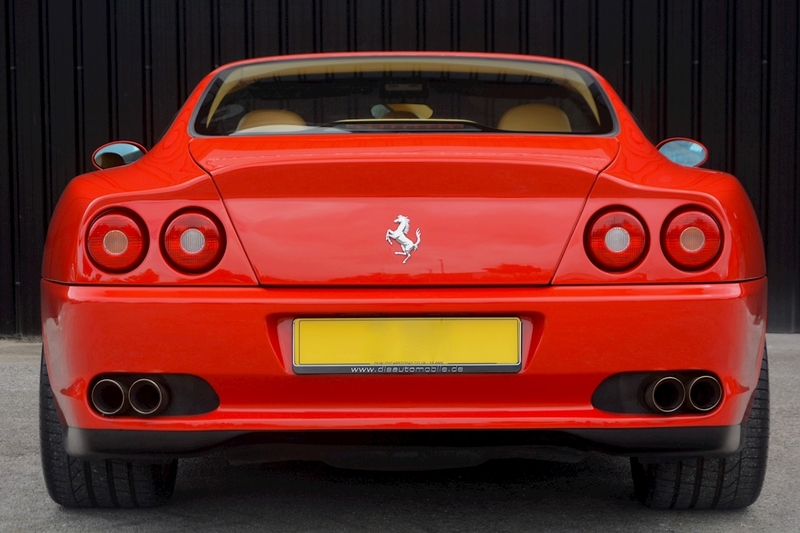 As we well as the service book there are accompanying Ferrari invoices for service work and additional maintenance carried out. 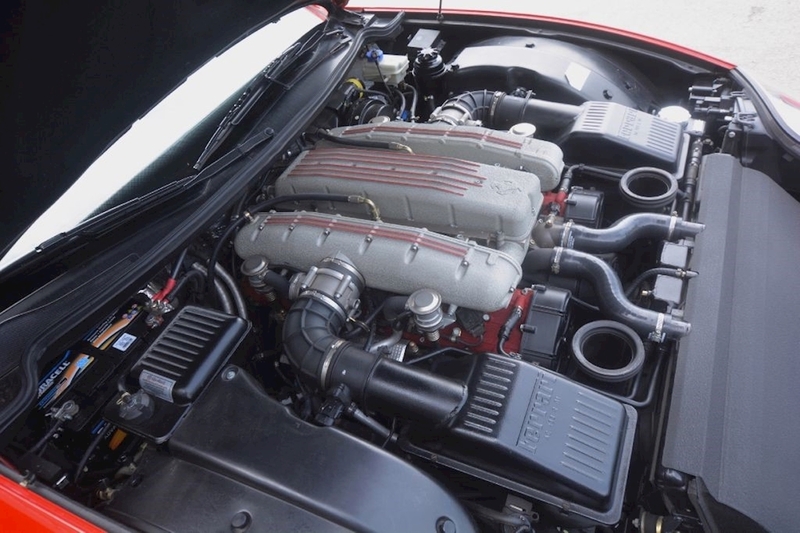 The Ferrari service at 45,072 miles included the timing belt change, spark plugs etc. 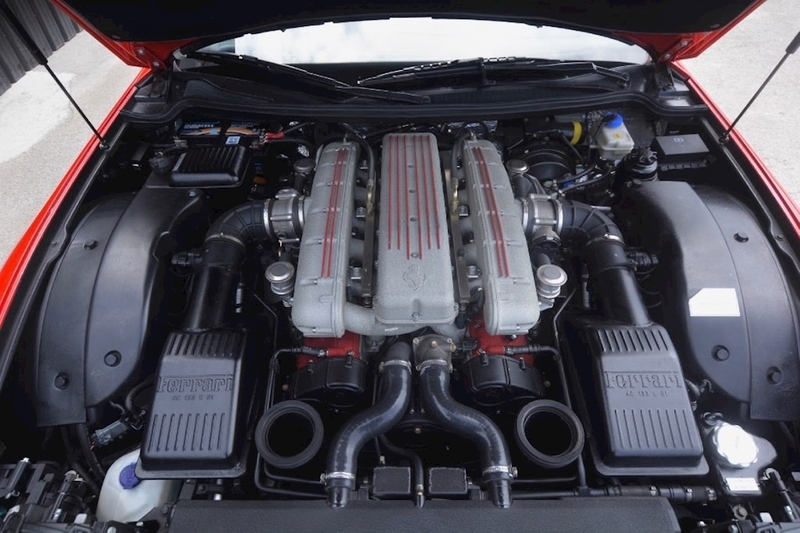 In the history file there is a report from September 2015 by independent Ferrari expert Micheal Koser confirming technically excellent mechanical and cosmetic condition. 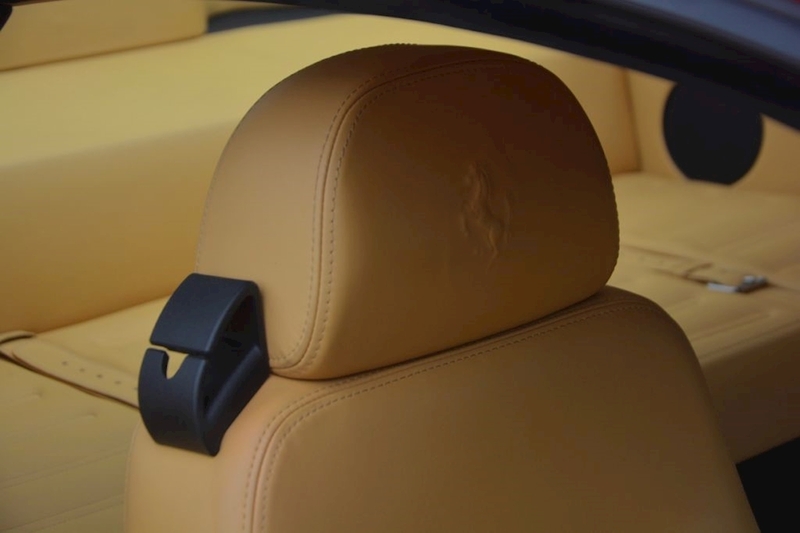 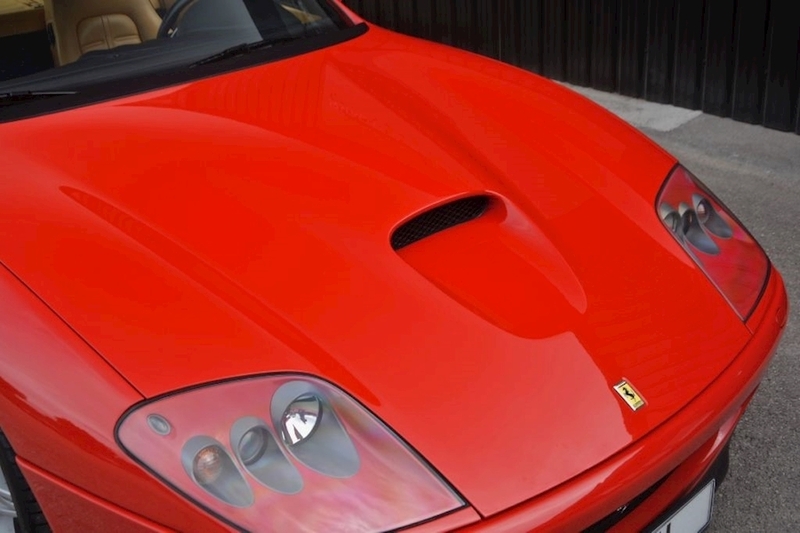 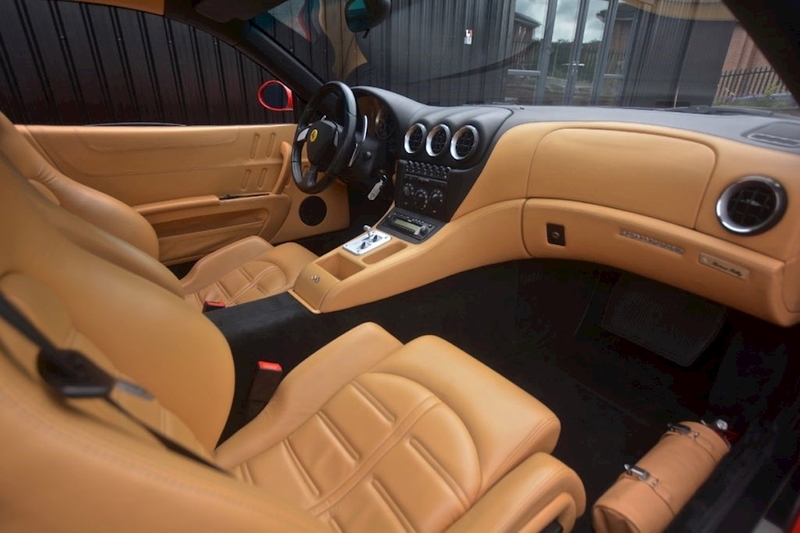 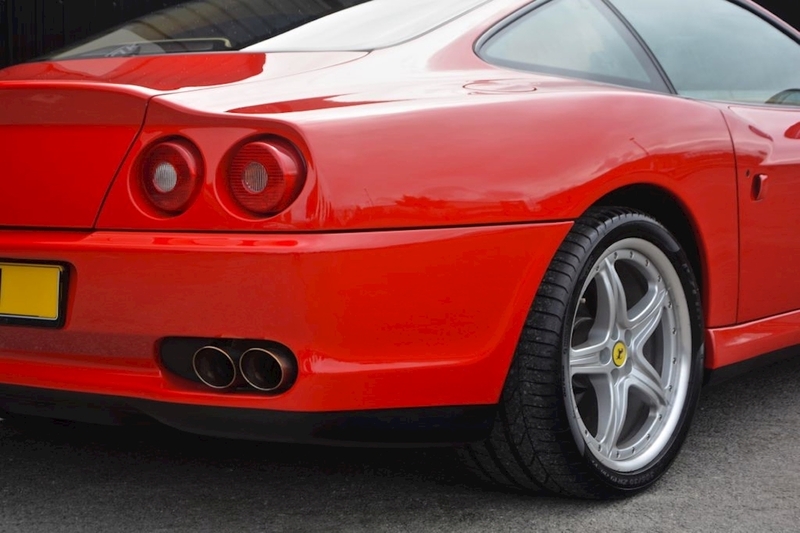 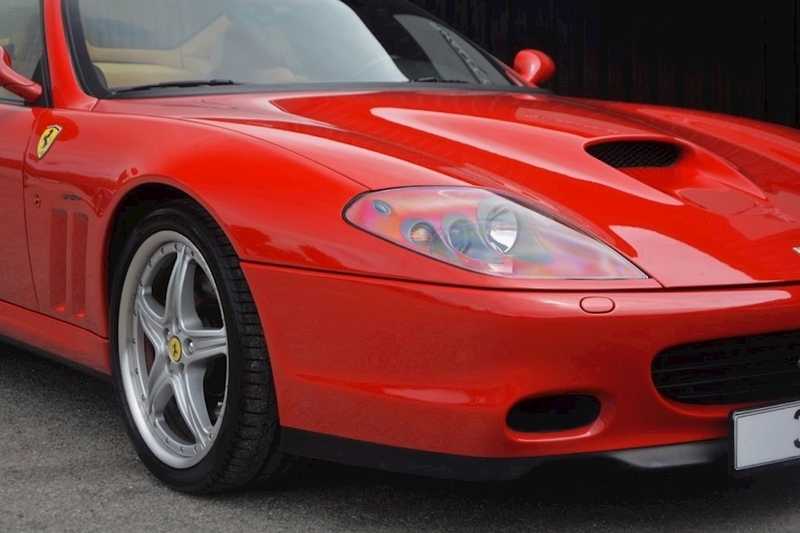 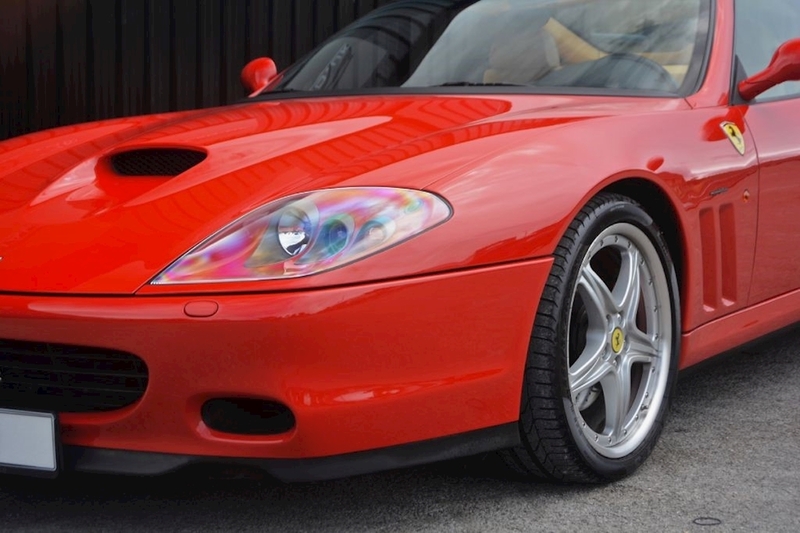 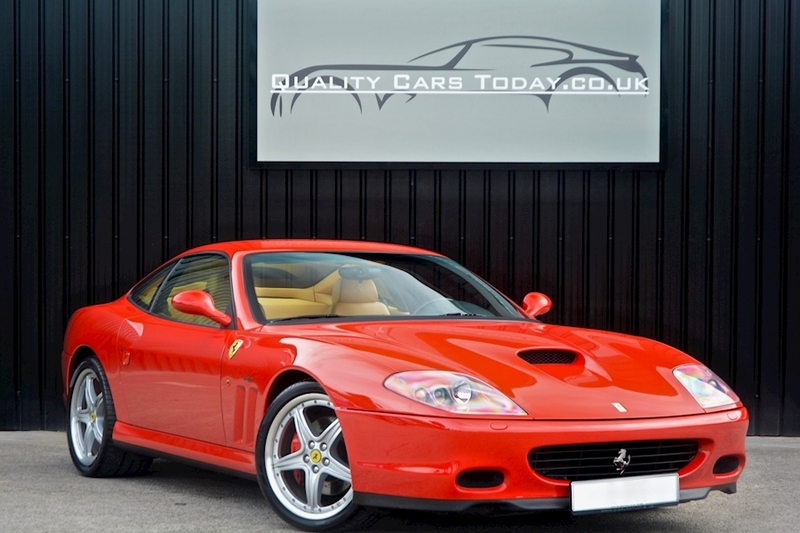 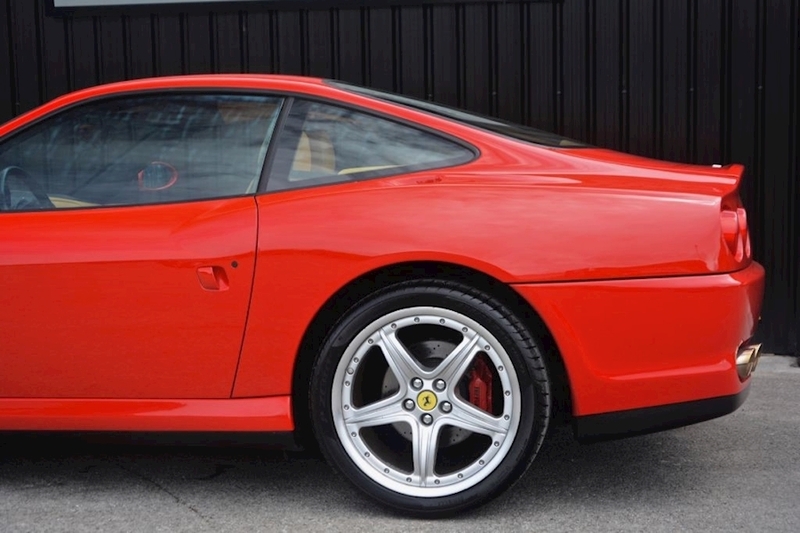 This Ferrari has an excellent provenance and has been extremely well maintained throughout its pampered life. 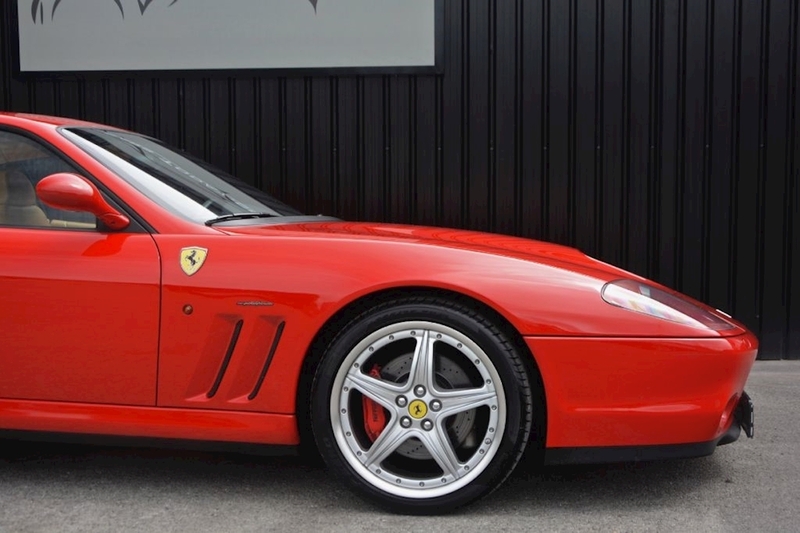 The 575m has just undergone its annual service and health check by Ferrari Leeds with any items advised replaced (invoice in history file circa £3,500). 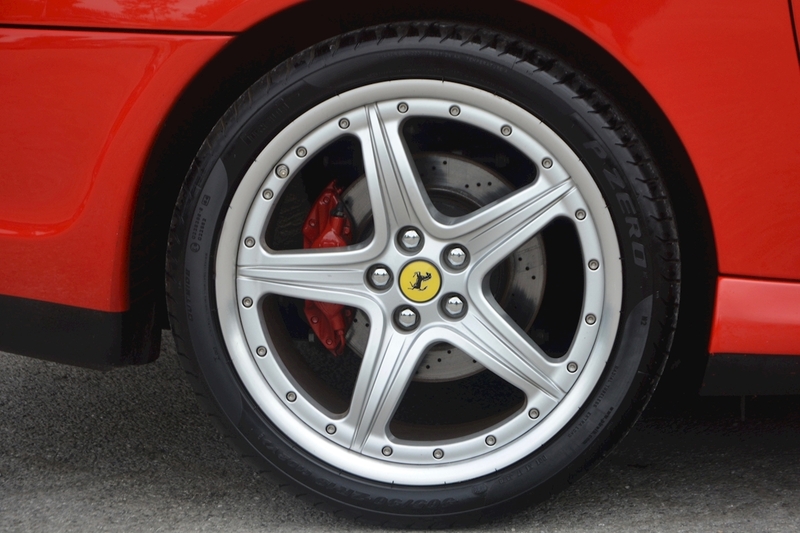 The Pirelli PZero tyres are in excellent condition having covered very limited mileage. 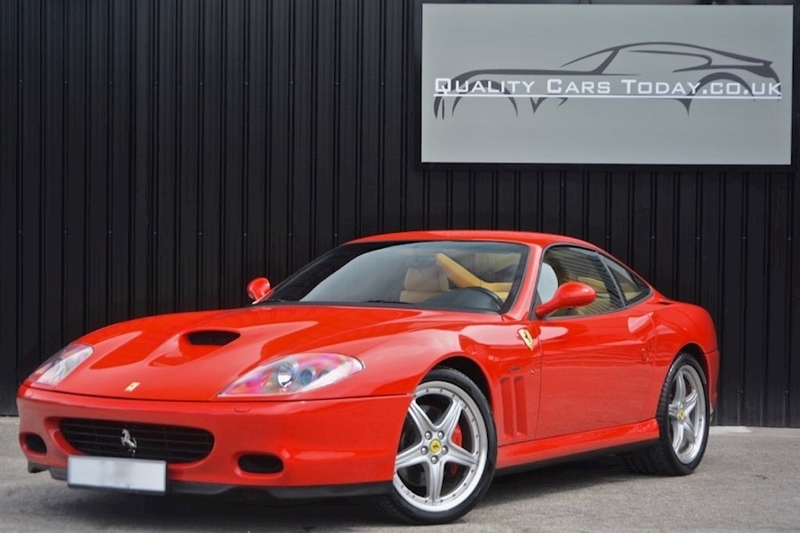 The condition and paperwork of this exceptional example speaks for itself. 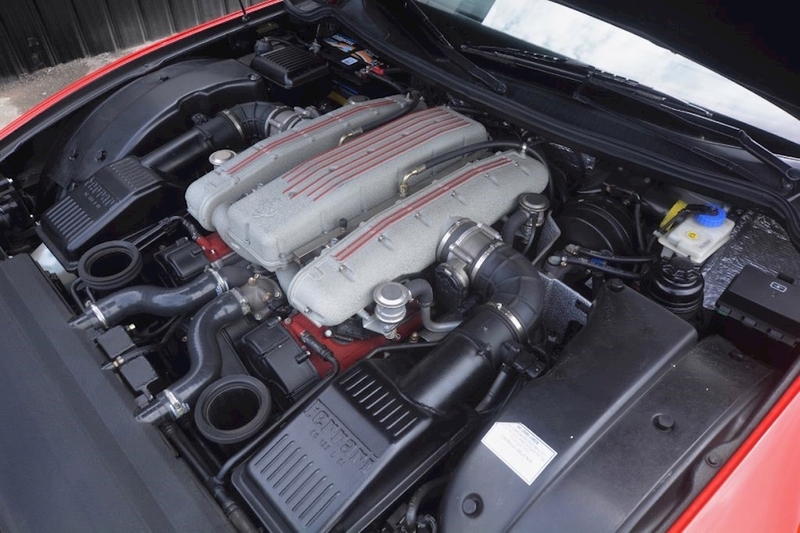 Any professional inspection welcome. 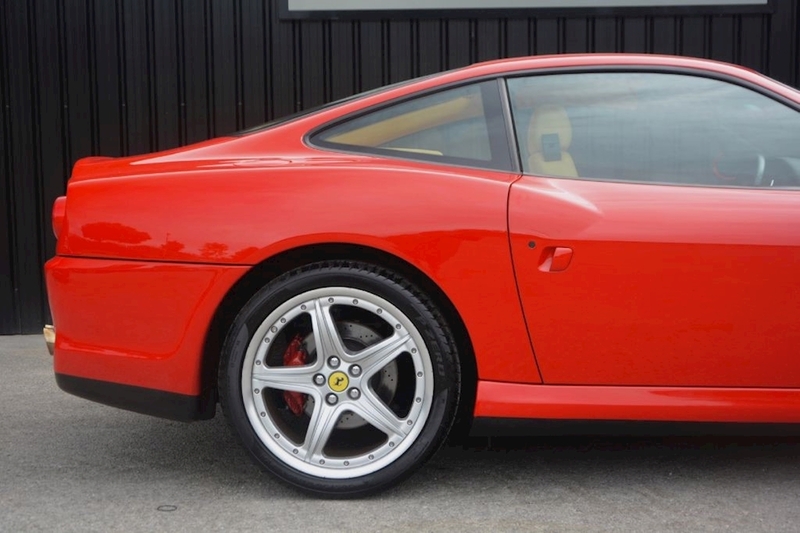 Presented in Rosso Corsa with 19 inch wheels this is a gorgeous Ferrari that looks better with age in my opinion. 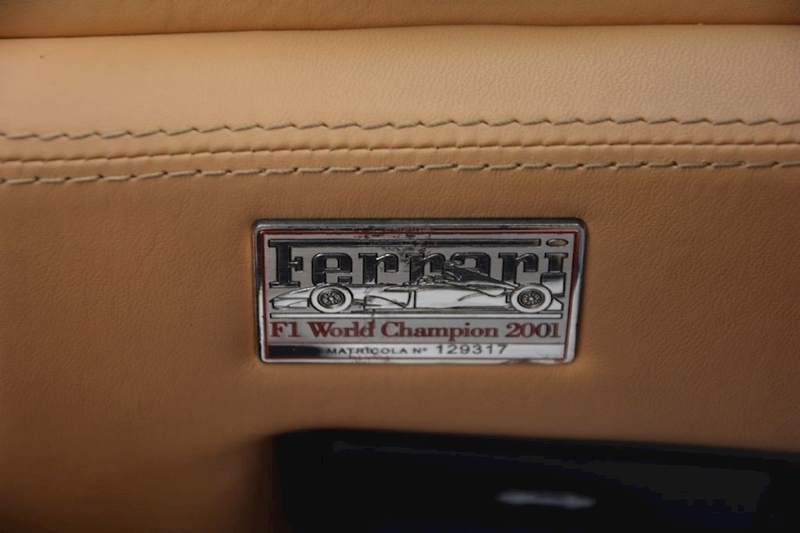 This car has a real presence in the flesh with some beautiful details. 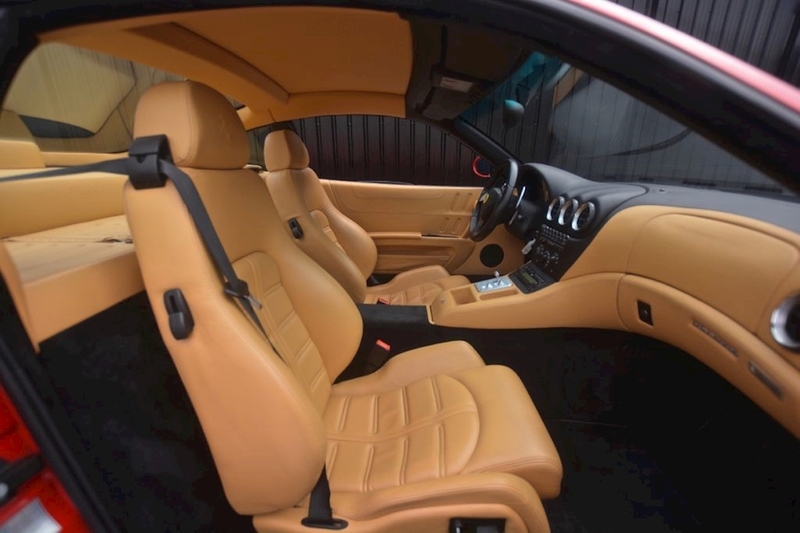 As per the independent report from 2015, this a very original car having never had any damage, full respray's etc and is in outstanding condition. 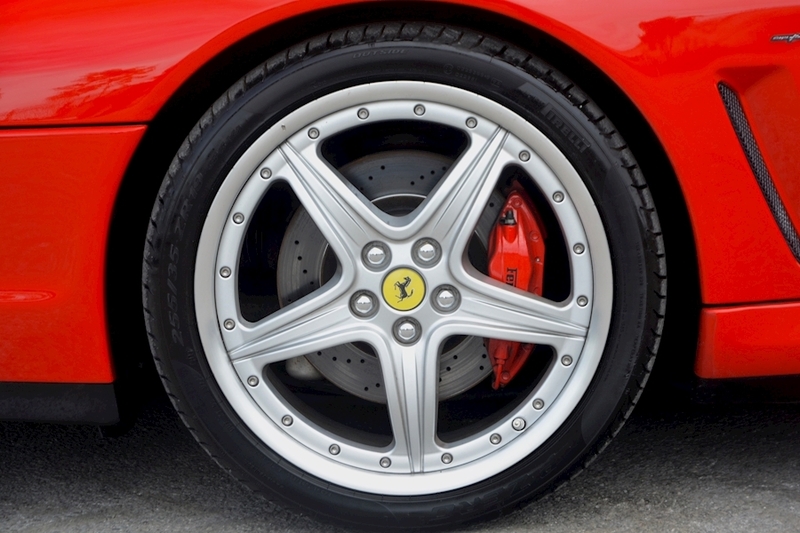 The wheels are excellent with no ingrained dirt or curb damage to the outer edges. 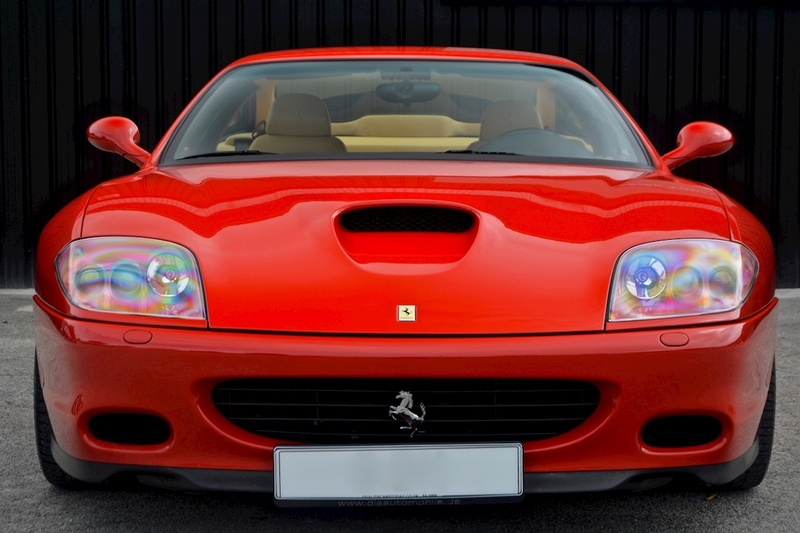 There is no visible stone chipping to the front end or bonnet. 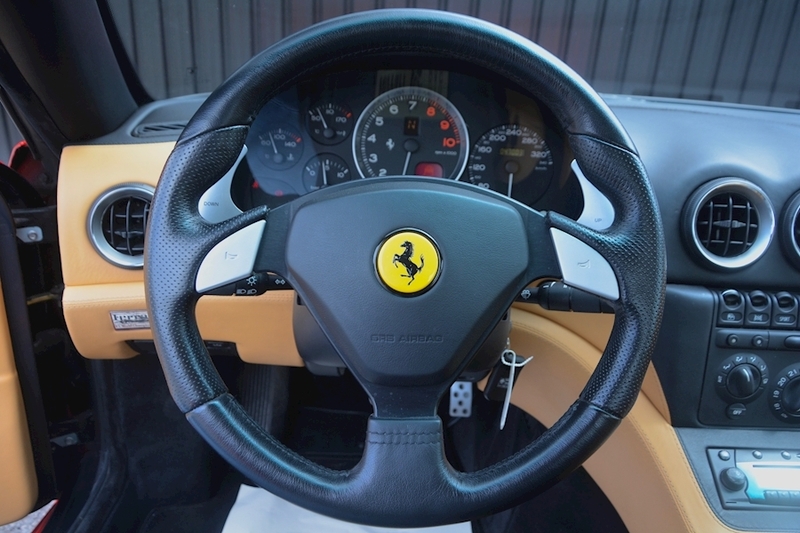 Individual body panel and wheel pictures available on our site. 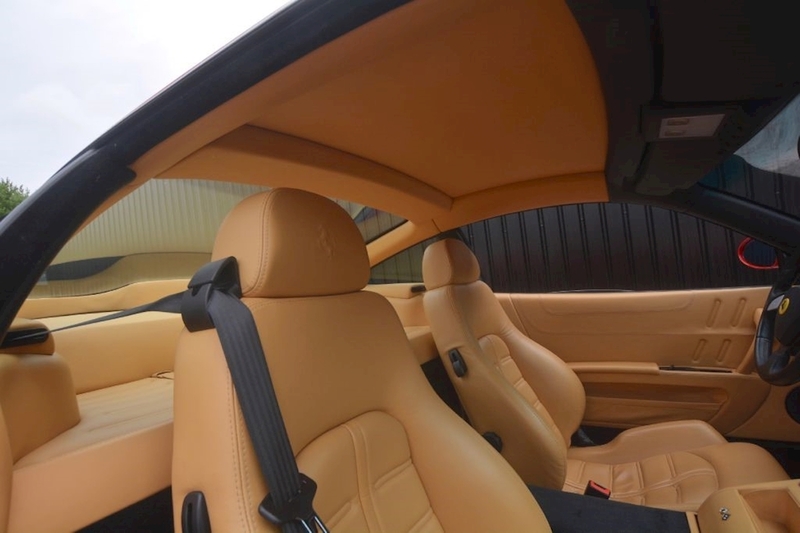 As can be seen from the pictures, the interior is beautifully specified and in excellent condition. 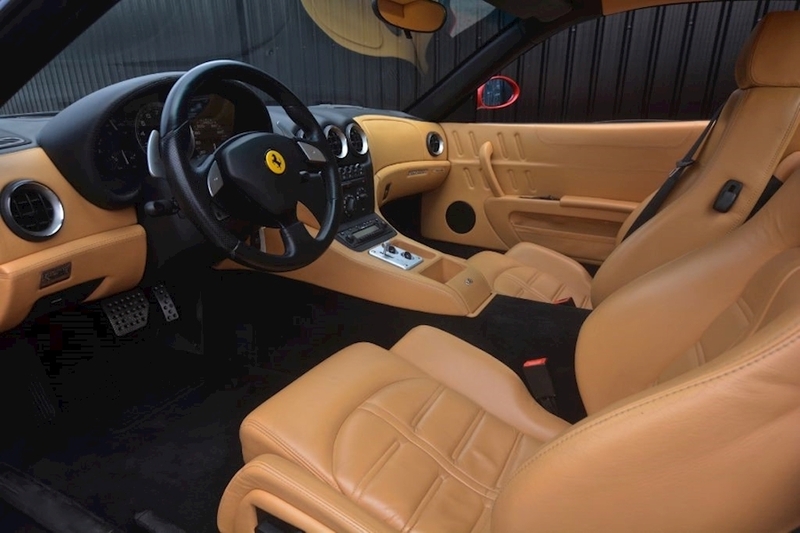 This Ferrari has never been smoked in and ofcourse there are no lingering smells. 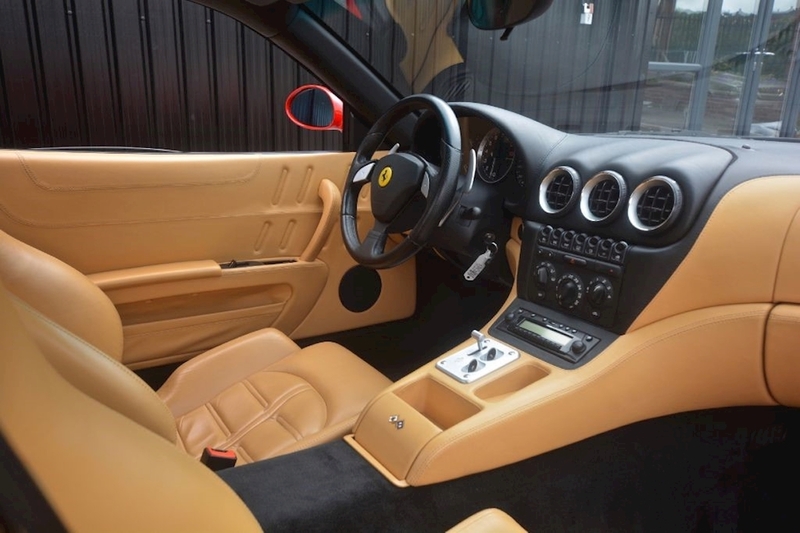 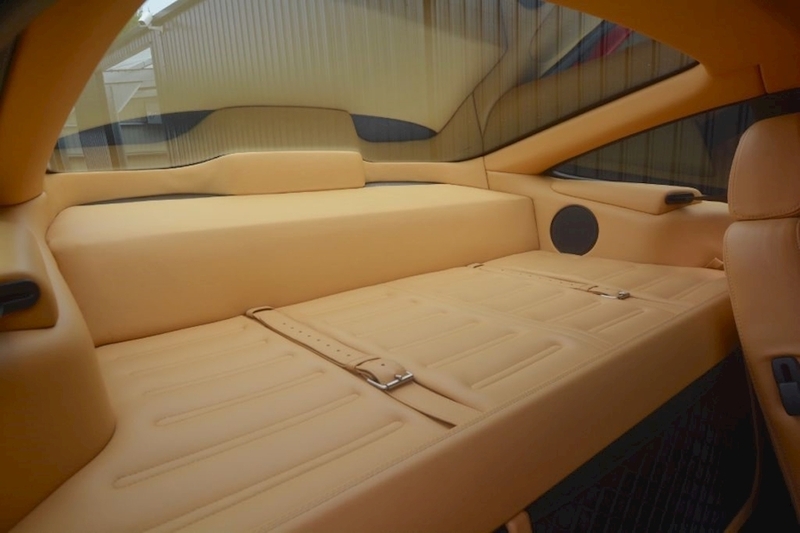 In fact, this car retains its original Ferrari aroma. 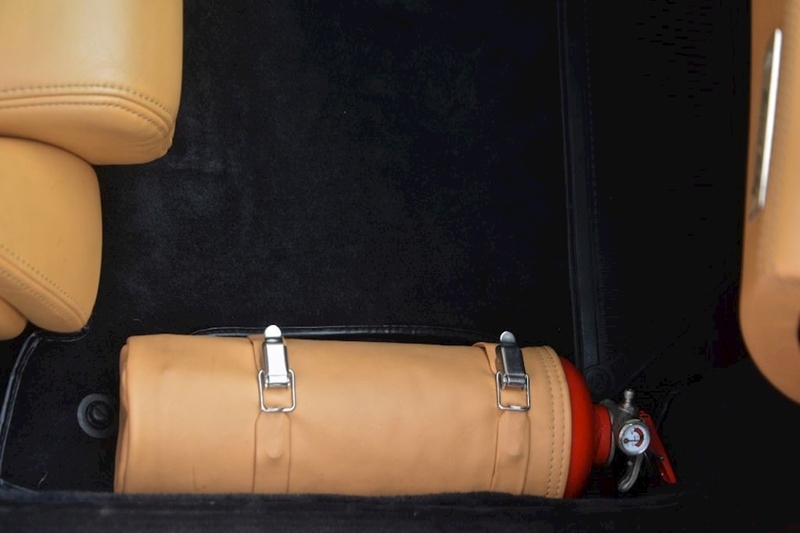 The leather is in excellent order with no ingrained dirt or scuffing of the seat bolsters. 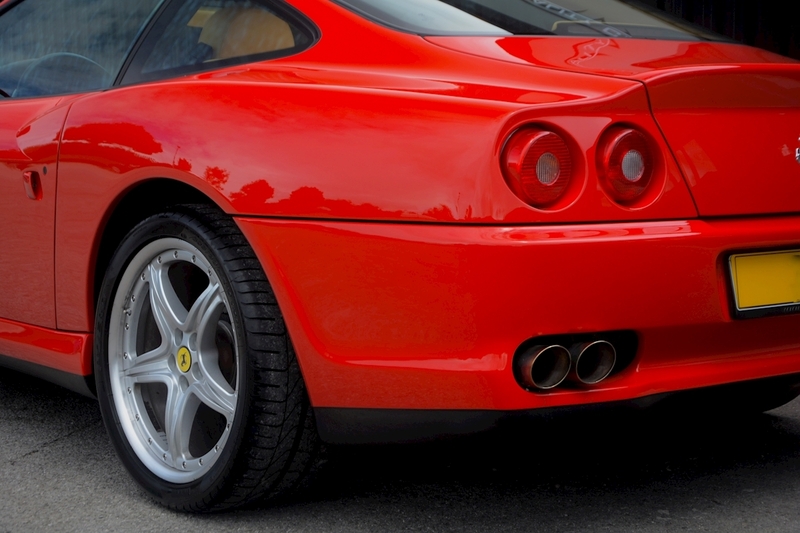 The carpets are very clean with no ingrained dirt or wear damage.